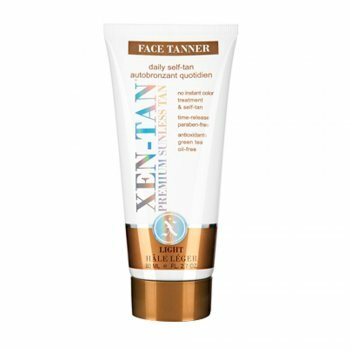 Xen-Tan Face Tanner (80ml) is a self-tan with a difference. It protects client skin from everyday damaging factors, thanks to infused antioxidants. Handily, it works well with or without make-up and is ideal for everyday use. An all-in-one face tanner and treatment. Part of the premium Xen-Tan tanning range. Thanks to a unique and moisture-rich formula, you will not be able to get such a high quality tan anywhere else. A proven professional-standard tan that clients will love, thanks to luxury ingredients such as Green Tea, Vitamin A & E, Shea Butter and Gingko Biloba. Skin will be left soft to the touch and golden olive brown, with a choice of methods, strengths and fragrances. For every skin tone and easy to apply, use Xen-Tan for a superior glow.